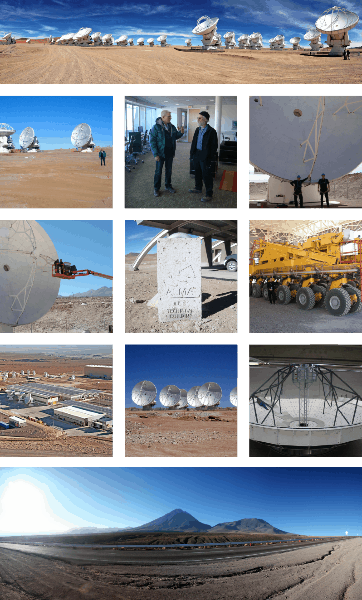 The Atacama Large Millimeter / sub-millimeter Array ”ALMA” is an astronomical interferometer of radio telescopes in the Atacama desert of northern Chile. 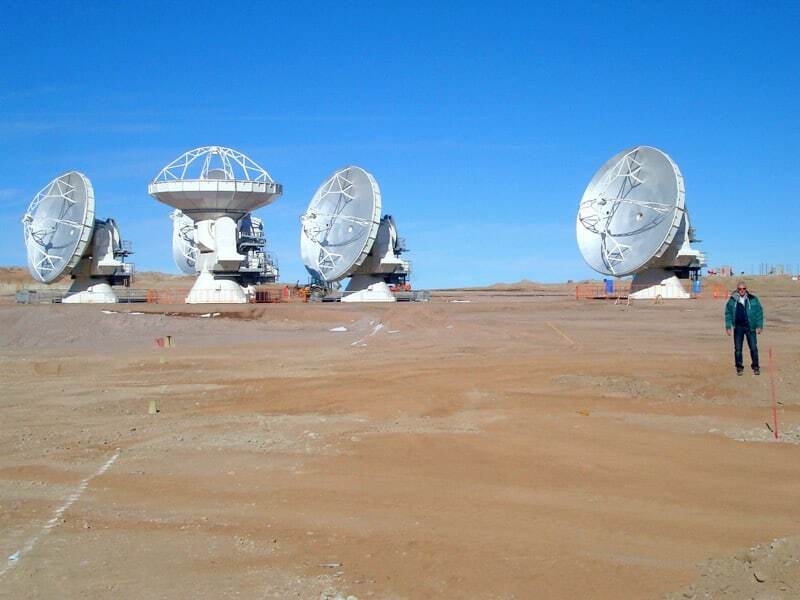 Since a high and dry site is crucial to millimeter wavelength operations, the array has been constructed on the Chajnantor plateau at 5,000 meters altitude, near Llano de Chajnantor Observatory and Atacama Pathfinder Experiment. 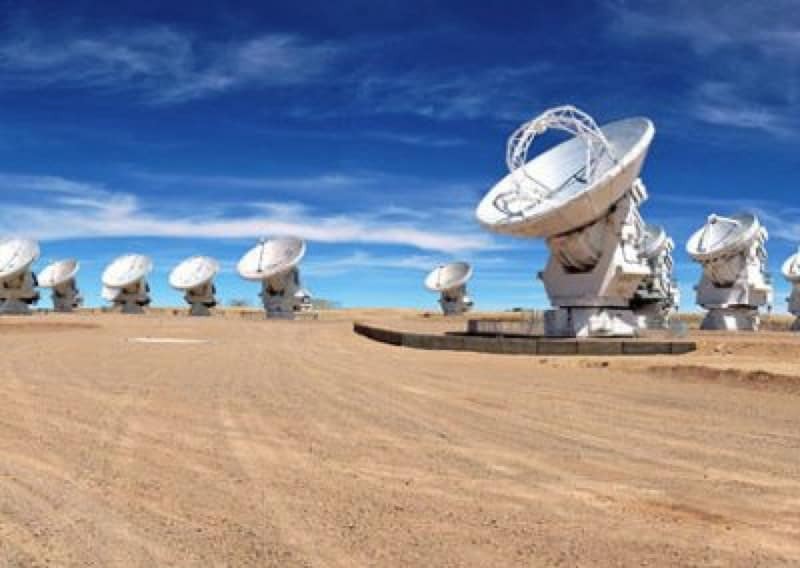 Consisting of 66, 12-meter (39 ft), and 7-meter (23 ft) diameter carbon fiber radio telescopes observing at millimeter and sub- millimeter wavelengths, ALMA is expected to provide insight on star birth during the early universe and detailed imaging of local star and planet formation. 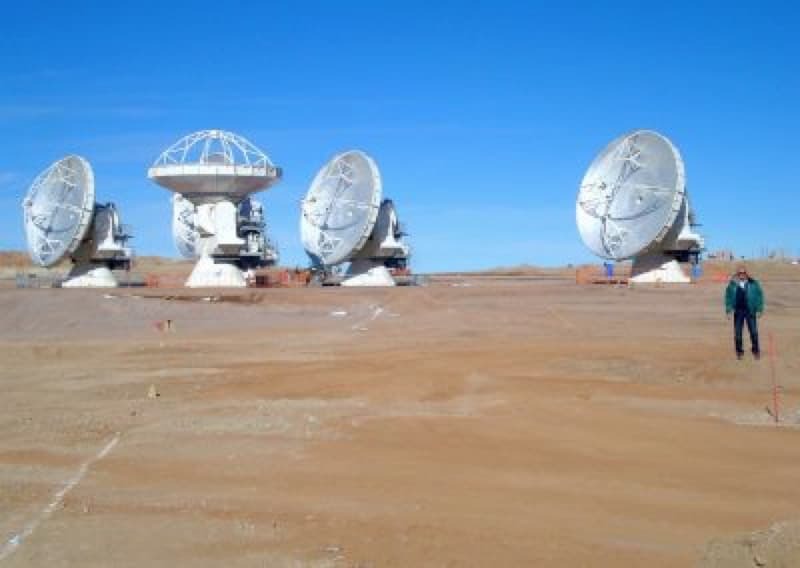 EFC owner, Bert Groenewoud, worked in the ALMA project for his former employer, Airborne International, who produced the most efficient 25 telescopes of a total of 66 large telescopes. As a Material / Process Engineer, Bert was one of two designers and builders of the special composite tooling with build in Spring-back correction, which were used to build all telescope segments and Quad legs in. He was also responsible for tooling maintenance and repair during the fabrication of all 25 telescopes. Bert supported the fabrication of 600 telescope segments. Each of the telescopes consists of 24 Carbon UNI fiber with Aluminum sandwich core segments, assembled into 25 radio telescopes. In 2011 Bert was sent to the ALMA observatory base camp, located at the 3,000 meter altitude as a subject matter expert and process engineer responsible for the maintenance of already assembled telescopes in the field. He also checked the already operational telescopes on the Chajnantor Plateau at 5,000 meter altitude, as can be seen in the pictures below. Repair accuracy was so good that the images on the scientists’ monitors was sharper than they originally were. This means that the tooling tolerance met the specs better than the manufacturer did and the repair procedure was carried out with excellence.